MANILA - Solicitor General Jose Calida is facing charges over his alleged extra-marital affair and the quo warranto petition his office filed to seek Chief Justice Maria Lourdes Sereno's removal from power. Private citizen and Sereno supporter Jocelyn Marie Acosta lodged Thursday the complaint of graft, violation of the Code of Conduct and Ethical Standards for Public Officials and Employees and the Revised Penal Code against Calida before the Office of the Ombudsman. The quo warranto petition against Sereno, she said, was unconstitutional. Acosta also alleged that Calida's supposed affair is widely known in his office, where his wife allegedly confronted his purported mistress. The complainant, however, admitted she does not have enough proof of Calida's "affair." 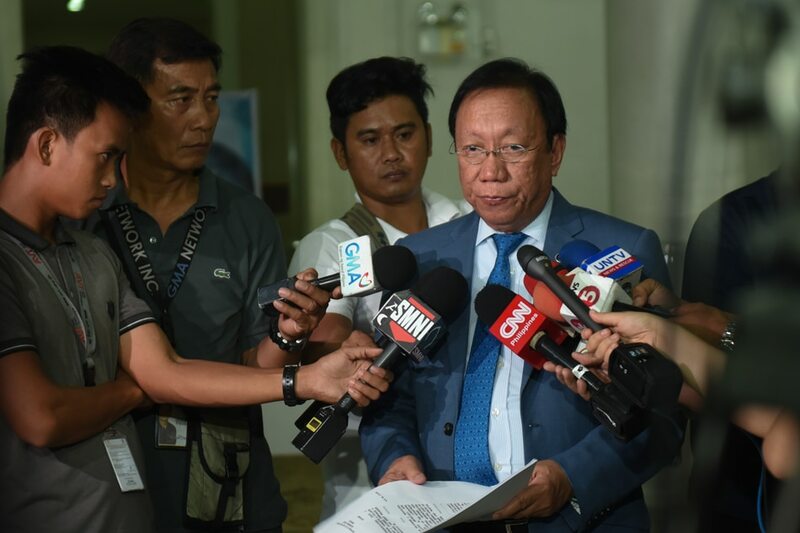 She said she wants the Ombudsman to investigate the issue because Calida's supposed mistress allegedly received P1.8 million in government funds. “The focus here is not the girl. Calida is the one who abused his position,” Acosta said. She also wants the Ombudsman to investigate Calida’s supposed ownership of Vigilant and Investigative Security Agency, which has contracts with the National Economic Development Authority, National Anti-Poverty Commission, the Philippine Amusement and Gaming Corporation and the National Parks Development Corporation. “He did not divest from the company,” Acosta said. Acosta submitted a document which she requested from the Securities and Exchange Commission, supposedly proving that Calida owns 60 percent of the security agency, based on documents he submitted in 2016. Acosta also accused Calida of surrendering the claims of the Philippine government over the ill-gotten wealth of the family of the late strongman Ferdinand Marcos.